But, I have a very faithful reader. 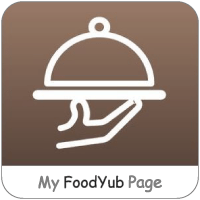 One day, I got an email from her, saying how much she loves my blog and how, as a newly married staying with her husband, with no relatives in Bangalore, has made her browse through my blog, search recipes and try them. Each time she tried them, they turned out amazing – Alhamdulillah! Slowly that made her a good cook. Her name is Phibu Jose. She is now blessed with a daughter, but she still cooks from the blog – irrespective of whether it is for her and her husband, when her parents or in-laws arrive, or when she has guests. Each time, I check my emails and her name comes in front, my heart does skip a beat. I love her emails, I love how innocently she writes and she describes what made her choose the recipes and try them. She also never forgets to click and send pictures of it, despite herself saying that they aren’t good enough! As a blogger, what matters is feedback, irrespective of pictures. As long as you love the recipes, we feel relieved. As long as they succeed, we feel relieved. I totally love your mails, Phibu. I should have posted this on the blog long back but maybe the time has come only now. She is the only one who asked me if I had a recipe for Paneer Butter Masala. She wanted to cook it for her little nephew who loved the curry. I was a little dejected – I didn’t have a recipe. I hardly cook paneer at home since nobody really likes it except B. But once in a while, for a change, I do cook it and make the kids eat it too. I had to find a good enough butter masala, that would taste as close to what we get at restaurants. When I posed the Shahi Malai Paneer, she had got really excited to see it. I did remind her that she had asked for the butter masala. And finally here it is… the best way I have cooked. It looked amazing, it tasted equally amazing too. To my surprise, the paneer averse girls scooped out the gravy and licked their way through it. That in itself is a compliment for me. I have been wanting to post this since long, but it just kept pushed off. Maybe now it is time, and I am glad that it is finally on the blog. Heat oil. Add in the onions to tomatoes and cook with a pinch of salt till the tomatoes are mashed up. Allow to cool. Grind into a smooth paste along with the cashewnuts and water. In a saucepan, melt the butter. Sizzle the bay leaf. Add the tomato paste and cook till raw smell is gone. Add the masala powders and give a good whisk. Cook till oil floats on top. Add the milk and bring it to boil. Add in the paneer and cook on low flame for 5 minutes, tossing it in the sauce. Finally add in the kasuri methi and garam masala and give a good mix. Adjust seasoning, add sugar if too tangy, and switch off. Allow flavors to mingle for around 10 minutes. Serve warm with parathas or naan. You can fry the paneer briefly in the butter, drain it and then finally add it into the gravy. wow thats so nice to recieve mails at least from readers. the only mail or comment I get are usually Spam hahaha. Love that rich gravy although I am not a big fan of paneer hehe. What a sweet post! I agree, it is those simple mails/messages which keeps the motivation going. This masala looks delicious! Wow Rafeeda!! Such a great feedback receiving such mails. As for the paneer butter masala it is yummy. This is our all time family fav dish. This looks so exotic and i’m sure it tastes yum !! Feedback from readers is what keeps us bloggers motivated..the paneer butter masala looks so rich and creamy ..perfect to go with naan on a weekend afternoon ! The most popular paneer dish loved by one and all.. I agree with you. Feedback from readers encourage us a lot. Paneer butter masala looks so rich creamy and yummy. Lovely share. Very sweet sharing. I know how happy we feel to get a comments from our readers. May you get lots of requests which makes you feel happy and motivated. Loved the silky smooth gravy of this paneer butter masala, and so truly said feedback from our readers is what keeps a blogger going, hope your reader tries and enjoys this recipe. I need just some rotis to clean that delicious paneer butter masala, never get bored of this PBM.. LIpsmacking here. My kind of food. This is an all time favourite curry and this one looks tempting. Full of flavours. It is always a good feeling to receive positive feedback from readers 🙂 Your paneer butter masala looks lovely! Thanks to Phibu, you made a wonderful recipe for the blog which was loved by your girls as well. Sometimes we work so hard to get a post on the blog and then wait for the comments to show up, eagerly waiting for someone to try it and appreciate it. The beauty behind blogging is, passion to do your work! The rewards may not be monetary all the time but the satisfaction of making a difference in someones life and kitchen is unmatched. Be glad and thankful to Almighty that you have the power to make a difference and cook dishes for both family and friends. More Power to you Rafee. The Paneer Butter Masala is an absolutely fav at our place too, esp with husband. I like your girls am not that fond of paneer but mop up the curry for sure. Yes, I am totally agree with you. Feedback is the most motivating factor for bloggers. And yes, this paneer butter masala looks so so delish !!! Wow Rafeeda such a dedicated follower. I wish some of my followers would write or send a photo of what they prepare. A few do but most its like when I meet them they say, oh by the way I made this from your blog! Anyway no regrets. I’m so happy for you. I too don’t have many paneer recipes on my blog as hubby is not a fan. Your paneer butter masala looks finger licking good. Paneer Butter Masala, it’s been a saviour for a vegetarian like me, as soon as I think about something elaborate cooking, paneer dishes pop in my mind. Simply gorgeous dish!